Sara Ellen Perry Chandler, 74, of Williamston, wife of Thomas William Chandler, died Friday, March 21, 2014 at AnMed Health Medical Center. Born in Anderson County, she was a daughter of the late James Edward, Sr. and Helen Ford Perry. She retired from Powdersville Elementary School and was a member of Big Creek Baptist Church. In addition to her husband, she is survived by daughter, Elaine Wood of Belton; son, Ricky Chandler of Belton; sister, Jackie Durham of West Pelzer; brothers, Buddy Perry of Belton, and Randy Perry of Anderson; three grandchildren; and seven great-grandchildren. A graveside service was held Monday, March 24 at the M. J. “Dolly” Cooper Veterans Cemetery. The family is at the home of Elaine and Preston Wood, 13903 Highway 20, Belton. Memorials may be made to the Big Creek Baptist Church Building Fund, P. O. Box 187, Williamston, SC 29697. Paul Jethro Jackson, 87, of Pelzer, husband of Bessie Lois Thomason Jackson, died Friday, March 21, 2014 at his home. Born in Livingston, TN, he was the son of the late Harvey Burr and Allie Nivens Jackson. A U. S. Army veteran, he retired from Crown Metro and was a member of Gum Springs Pentecostal Holiness Church in Taylors. In addition to his wife, he is survived by his children, Judy Wooten of Taylors, Paul Michael Jackson of Easley, Rellon Dean Jackson of Pelzer, Jeanette Bixby of Simpsonville, Darlene Oliver of Landrum, and Pamela Shackleford of Pelzer; twelve grandchildren; sixteen great-grandchildren; and two great-great-grandchildren. The funeral service was held Monday, March 24 at the funeral home chapel of Gray Mortuary, Pelzer. Burial followed at Greenville Memorial Gardens. Caleb Jordan Nation, 17, of Pelzer, died Tuesday, March 18, 2014 at his home. Born in Gainesville, GA, he was the son of Michael Wayne and Annie Griffin Nation. A home schooled student, Caleb was active in Boy Scouts of America and was currently working on his Eagle Project. He was a member of Washington Baptist Church where he was a media, Awana and Youth worker. In addition to his parents, he is survived by a sister, Megan Nation of the home; grandparents, David and Carol Nation, of Hoschton, GA, Bobby and Judy Griffin, of Buford, GA; and great-grandmother, Martha Ruth Buffington, of Hoschton, GA.
A memorial service was held Friday, March 21 at Washington Baptist Church. Kathryn Lee Southern, 19, of Belton, died on Thursday, March 20, 2014 at MUSC in Charleston. Born in Greenville County, she was the daughter of Thomas Lee “Tommy” and Marisa Rea Southern. She was a freshman at Clemson University. She received her IB diploma from Woodmont High School. She attended Washington Baptist Church. In addition to her parents, she is survived by a brother, Matthew Southern of the home; grandmother, Mary Cothran Southern of Belton; and grandfather and step-grandmother, Richard and Joyce Rea, of Mocksville, NC. The funeral service was held Monday, March 24 at Gray Mortuary Chapel, Pelzer. Tax deductible memorials may be made to Children’s Organ Transplant Association (COTA) in honor of Matthew and Kathryn Southern, 2501 West COTA Drive, Bloomington, Indiana 47403 or at www.cota.org. Betty W. Thomason of Piedmont, wife of Bill Thomason, died Wednesday, March 19, 2014. She was a daughter of the late Robert Clyde and Ever Jane Dunagan Wilkie and a member of Welcome Baptist Church. In addition to her husband, she is survived by daughter, Debbie McCall; one grandson; one great-grandson; sisters, Christine Boland, Eulene Hamilton, Barbara Wood, and Frances Benjamin; brothers, Ralph and Willard Wilkie. Funeral service was held Saturday, March 22 at Thomas McAfee Funeral Home, Northwest. Memorials may be made to Gideons International, P.O. Box 8481, Greenville, SC 29604. Kathy Ann Norris Cash, 49, of Pelzer, died Sunday, March 16, 2014. A funeral service was held March 22 at New Forksville Baptist Church, Honea Path. Interment followed in the church cemetery. Frankie Marie Roberson, 82, of Greenville, died Wednesday, March 19, 2014. Born in Greenwood, she was a daughter of the late Owen C. and Lily Davenport Roberson. She was a member of Woodside Church of God. She is survived by sisters, Mamie Smith of Greenville, Ruth Ann Wood of Waterloo, and Linda Hall of Pelzer; and brothers, Mendel Roberson of Greenville, Henry “Spider” Roberson of Greenville, and Owen Roberson of Greenville. Funeral service was held Saturday, March 22 in the funeral home chapel of Thomas McAfee Funeral Home, Northwest. Burial followed at Graceland Cemetery, West. Memorials may be made to Woodside Church of God Building Fund, 1410 West Parker Road, Greenville, SC 29617. Charles Weslie Johnson, 57, husband of Sheila Gleason Johnson, of Piedmont, died Thursday, March 20 at Greenville Memorial Hospital. Born in Belton, he was a son of Shelbie Whitt Seawright, and the late Rollin Wesley Johnson. He was of the Baptist faith and was formerly employed at the Michelin USI Plant. He also served in the U.S. Army. In addition to his wife of the home and his mother, he is survived by two daughters, Tiffany Suit of Honea Path and Amanda Hucks of Greer; one brother, Terry Johnson of Belton; one sister, Sherry Posey of Honea Path; three grandchildren; and stepfather, Ben Seawright. 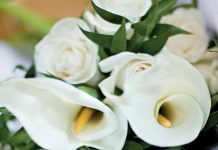 Funeral services were held Monday, March 24 at Pruitt Funeral Home Chapel. Burial followed at Greenville Memorial Gardens. Eunice Waddell King, 86, widow of Lawrence Clinton King, of Pelzer, died Thursday, March 20, 2014 at NHC of Anderson. Born in Simpsonville, she was the daughter of the late Harrison Andy and Leola Grubbs Waddell. She was a member of Williamston Pentecostal Holiness Church. Surviving are daughter, Patricia Vaughn of the home; sister, Mary Ann Stewart of KY; seven grandchildren; eight great-grandchildren; and three great-great-grandchildren. Funeral service was held Monday at Williamston Pentecostal Holiness Church. Burial followed at Garden of Memories. Van Wilton Williams, 79, of Williamston, widower of Ruth Rhodes Williams, died Monday, March 24, 2014. Born in Laurens County, he was a son of the late Abel Butler and Annie Ray Lollis Williams. He was retired from J.P. Stevens Estes Plant and a U.S. Air Force veteran of the Korean Conflict. Surviving are daughters, Lynn Williams and Janet Roach Wilson, both of Piedmont; sons, Jeff Williams of Piedmont, Wendell Roach and Ronnie Yon, both of Starr; Curt Yon of Charleston; 11 grandchildren; 23 great-grandchildren. Visitation will be held from 7:00 – 8:30 p.m. Thursday, March 27, at Gray Mortuary, Pelzer. The funeral service will be on Friday, March 28 at 2:00 p.m. in the funeral home chapel. Burial will be at Oaklawn Memorial Park, Anderson. Alice Joan Sisk “Jo Ann” Evans, 81, widow of William R. “Buggy” Evans, Jr., died March 23, 2014. Born in Danville, VA, to the late Mellie Sisk, Sr. and the late Lola Clardy Sisk, she retired from Gettys Middle School and was a member of Rock Springs Baptist Church. Surviving are a son, Donny Evans of Taylors; daughter, Wanda James of Easley; two brothers, Mellie Sisk, Jr. and Bill Sisk, both of Easley; a sister, Linda Welsh of Williamston; two grandchildren; and three great-grandchildren. Funeral services were held Wednesday in the chapel of Robinson Funeral Home Downtown. Burial followed in Greenlawn Memorial Park. Effie Smith, 98, of Piedmont, died Monday, March 24, 2014 at her home. Born in Greenville County, she was the daughter of the late Claude Jackson and Susie Hill Jackson. Surviving are daughters, Betty Johnson Sullivan of Piedmont, Ottie Johnson Stewart of Pelzer; son, Rev. Dr. J.W. Johnson of Piedmont; sisters, Juanita Edwards and Alice Greggs, both of Greenville; brothers, Dewitt Jackson of Greenville; eight grandchildren; 15 great-grandchildren; 11 great-great-grandchildren; five stepdaughters; and five stepsons. Funeral service will be held Thursday, March 27 at 3 p.m. at Reedy Fork Baptist Church. Burial will follow in the church cemetery.